Synaptive Medical Inc., a medical device and technology company, has received its first CE Mark as well as regulatory approval in Australia. The approval opens European and Australian markets to BrightMatter™ Plan, a state-of-the-art neurosurgical planning system that automatically generates dynamic tractography, enabling surgeons to easily create preoperative plans that allow for less disruptive, more accurate surgery. BrightMatter Plan is a part of Synaptive’s innovative solution that includes advanced imaging, informatics, surgical planning, navigation and robotic visualization with a digital microscope for brain surgery. 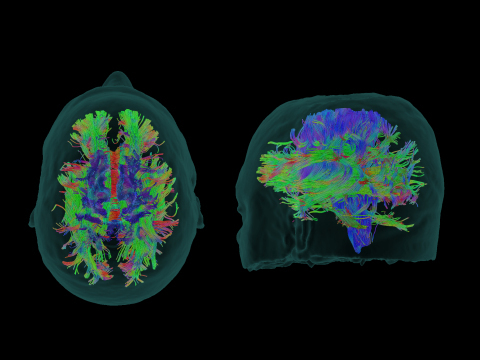 BrightMatter Plan by Synaptive Medical automatically generates 3D, dynamic whole brain tractography using an advanced type of MRI called diffusion tensor imaging to provide a complete picture, representing the white matter in the brain. The software makes this unprecedented automation and level of detail clinically available for the first time. With this information, BrightMatter Plan allows surgeons to easily explore multiple approaches to determine the least invasive access point and safest route to the surgical target. This enhanced pre-surgical visualization may contribute to reduced complications, and may enable access to previously inaccessible brain locations. The resulting tractography and surgical plan can then be exported to navigation systems, such as BrightMatter Guide, for use in the operating room. BrightMatter Plan is FDA, CE Mark, Health Canada and TGA approved. Synaptive Medical Inc., a Toronto-based medical device and technology company, collaborates with leading clinicians and healthcare systems to cross traditional barriers and enable continuous improvement in care delivery, in and beyond the operating room. Their integrated BrightMatter™ solutions, which include surgical planning, navigation and visualization, robotics and an integrated informatics platform, are designed and manufactured to give clinicians the information they need to ensure the best possible outcomes for patients.